After a continental breakfast in Lincoln, NE, we hit I-80 and headed west towards Denver. We drove somewhere in the neighborhood of 530 miles. As anyone who has driven through most of Nebraska and northeastern Colorado knows, that drive is very uneventful. Just miles of farmland and cows. Once we got close to Denver, Calvin thought the mountains were pretty cool but we kept telling him to wait until tomorrow when we continue our drive west up into them! We were in a little bit of a bind since we had told Calvin we would go swimming but our hotel only has an outdoor pool which is closed for the season. Fortunately Denise thought about her YMCA membership. We found a Y only about 5 minutes from our hotel and went swimming. 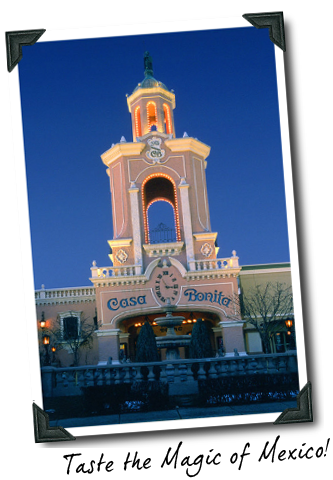 After that we went to good ol' Casa Bonita. We got to see cliff divers (which thoroughly amazed Calvin! ), a puppet show, a haunted cave and a bunch of other things. The food is very average but it was worth it for the rest of it! Continuing our tradition, we asked Calvin what his favorite part of the day was. Was it seeing the mountains? Going swimming? Seeing cliff divers? No, it was getting ice at the hotel with me! Tomorrow we're planning on visiting an aquarium before hitting the road for Utah!